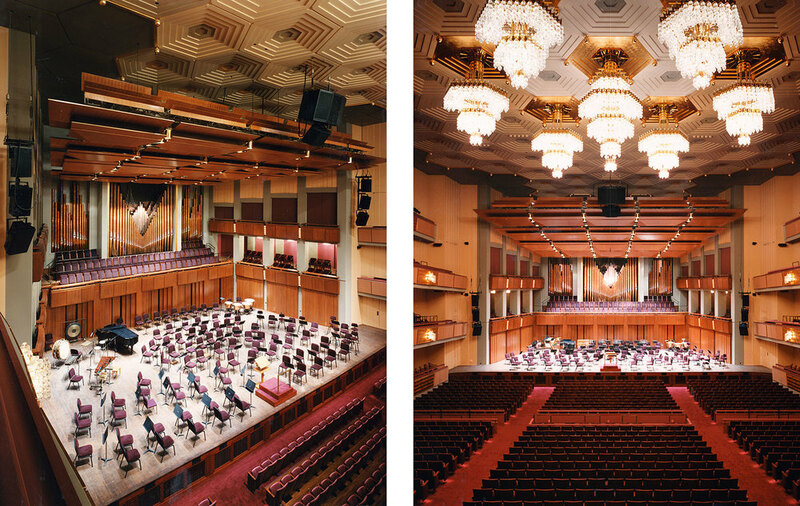 The John F. Kennedy Center for the Performing Arts encompassed a complete reconfiguration of the orchestra platform area including a new acoustic canopy, new acoustic chambers, a new orchestra platform, a rearranged organ and the addition of audience seating around the platform. 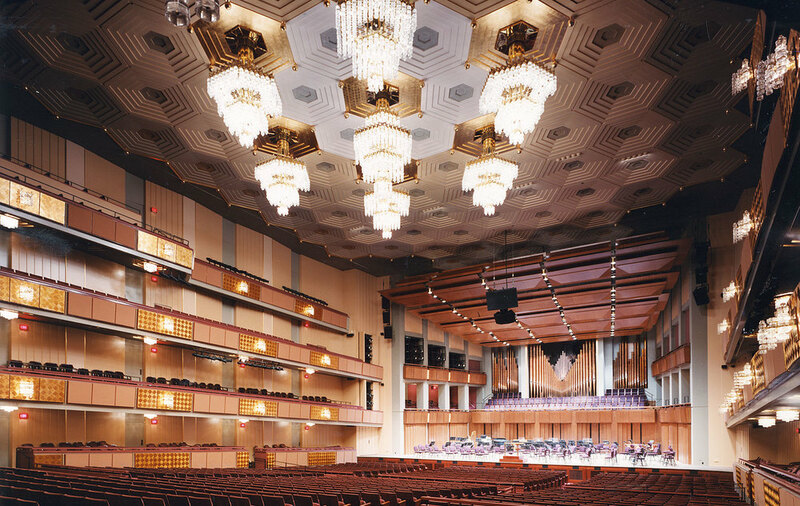 New raised boxes around the orchestra level and various acoustic modifications to the hall itself were created. The orchestra seating was reconfigured to include extensive accessibility for the handicapped. A new lighting and a new color scheme was also incorporated. 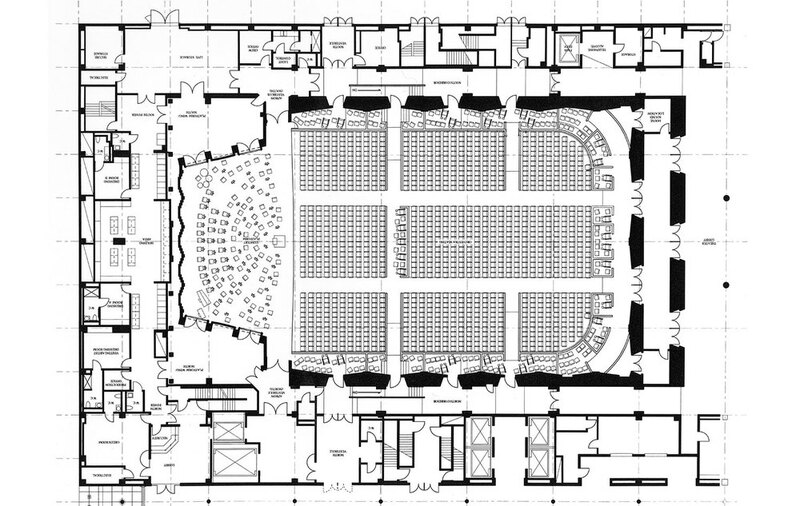 The intent was to continue the architectural motifs and details of the existing concert hall – which are about 70 percent retained – in the redesign and reworking of the orchestra platform level. While completely different in design, materials, and configuration from the existing situation, the orchestra platform area appears a continuation (if elaboration) of the existing house.